EDITORIAL: Who’s in charge at City Hall: council or staff? IT’S A QUESTION often asked by taxpayers but not nearly often enough by politicians — who’s in charge, the people we elect or the people they hire? 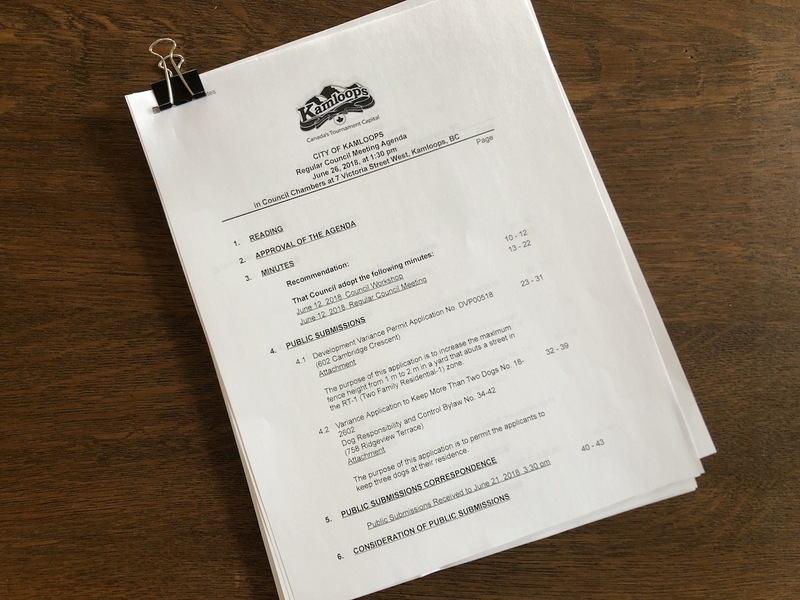 City Hall staff will come back to Kamloops council Tuesday with a response to a proposal to publish weekly council agendas a day early — Thursdays instead of Fridays. It’s a compromise since Coun. Denis Walsh wants them published on Wednesdays. He figures that would give council members more time to study their agendas and ask staff questions, and for the public to read up on what’s going on as well. I’m doubtful the change to either Thursday or Wednesday will make much difference, and it has as many disadvantages as advantages, but that’s not the point. When it first came up two weeks ago, most members of council fretted about whether a change to Wednesday would be a hardship for staff, but were okay with Thursday. As long as staff were okay with it too. So, a report tomorrow will say the agendas could be published by 4 p.m. on Thursdays, then released to the public by 9 a.m. on Fridays. CAO David Trawin says this will result in most council requests for reports at one meeting now taking two weeks rather than one to be accomplished. But the process for arriving at a decision is haywire. When the issue was originally debated, all the focus was on how it would affect staff. Was it “doable”? Was it “feasible?” Was it “achievable”? Staff wanted a delay so it could look at it and make recommendations and got it. But, of course, it’s doable and feasible and achievable. The only doubt is whether it’s desirable. And what’s with delaying the public release of agendas to the day after council gets them? Staff at City Hall are professionals who do quality work, but they should have been asked simply about the impact of the change, not whether they agreed with it. So, again, the real question is, who’s in charge? 2 Comments on EDITORIAL: Who’s in charge at City Hall: council or staff? An obvious answer, also considering most elected members have consistently shown a lack of knowledge and understanding of many aspects of how a city (and its surroundings) work.